It's 1989. The Troubles are raging in Ireland, bombs exploding in England. In this prequel to the Collins-Burke series, Father Brennan Burke is home in New York when news of his sister's arrest in London sends him flying across the ocean. The family troubles deepen when Brennan's cousin Conn is charged with the murder of a Special Branch detective and suspected in a terrorist plot against Westminster Abbey. The Burkes come under surveillance by the murdered cop's partner and are caught in a tangle of buried family memories. 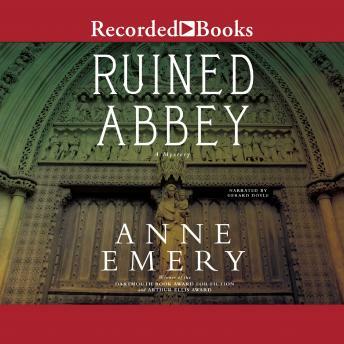 From the bullet-riddled bars of Belfast to an elegant English estate, Ruined Abbey combines a whodunit with a war story, love story, and historical novel, while exploring the eternal question: what is fair in love and war? It all starts with a ruined abbey.